PT Cyberindo Aditama or “CBN” is an internet service provider company, established under the legal provisions applicable in the Republic of Indonesia. CBN Fiber and DirectNet Play or “Services” are telecommunication services in the form of data, sound, and images as Internet Access and Internet Telephony Service Provider intended for public, email, and data communications network, including, but not limited, to other derivative products in the future. Customers are the registered Parties as contained in the Registration Form provided by CBN, whether on its own behalf, the company or the parties by the power of attorney and / or other evidentiary documents that valid legally and according to regulations. CBN equipment consist of (Optical Network Unit (ONU), Set Top Box / Digital Decoder, Remote Control, Antenna receivers, and other supporting devices, including, but not limited to, hardware and other equipment needed in the future located in Customer’s location, as long as the equipment and supplies are listed as owned by CBN. Location is the location where CBN Fiber and DirectNet Play service is provided as written in the Registration Form / Other supporting documents. Force Majeure events are the unpredictable, and the broad impact that occurs beyond the power of man, among others, including but not limited to events or natural disasters, disease outbreaks (epidemics), insurrection, riot, war, fire, sabotage, general strike, lightning, breaking up the flow of electricity generally beyond the ability of the parties to resolve it. The following Fiber and DirectNet Play Terms of Service is managed to set the terms and conditions of PT Cyberindo Aditama as a service provider. Customers are required to read carefully as they affect the rights and obligations of customers while using CBN Service. By registering and/or using CBN service, customers are considered to have read, understand, acknowledge, and agree to the contents in Fiber and DirectNet Play Terms of Service. The Terms of Service is a legal agreement set forth between the Customer and PT Cyberindo Aditama. If the Customer does not agree to one, some, or all of the contents in Fiber and DirectNet Play Terms of Service, then Customer may not use the service as intended. CBN will provide the Username and Password that is unique to Customer for accessibility in using and enjoying CBN Services. Customer is solely responsible for all activities in using CBN Services and maintaining the confidentiality of the password as a secret information that should be kept confidential. Customer acknowledges and fully responsible that the information and documents submitted to the CBN as a Service registration requirement is a document that is legally valid and has real truth. Customers are entitled to receive all the benefits and advantages obtained through the terms of service, with regard to the terms and conditions imposed by CBN as a service provider, including legal provisions applicable in the jurisdiction of the Republic of Indonesia. Customer hereby acknowledges and states that CBN is released from the accountability for services used by the Customer, regarding the incompatibility of equipment and supplies used by the Customer to enjoy CBN Services including if the Customer has conducted a cooperative relationship with the Other and / or there has been a combination of CBN-owned devices with devices that belong to Third Party that is not mentioned under this Agreement either in part or a whole that will affect the quality of service enjoyed by customers. Customer hereby understand all the risks of use and / or the inability of service provided by CBN, for that Customer agrees to indemnify CBN from any compensation claim both material and immaterial and other forms of liability arising from the existence of these risks. Actions or other businesses that may considered to have violated the laws and regulations applicable in the jurisdiction of the Republic of Indonesia. The customer is prohibited to cause interference to networks and other electronic systems that are related or have a connection with the terms of service provided by CBN. Customers forbidden to give gifts, tips, and / or other provisions that can be categorized as a provision that is not regulated in terms of service to the installation officers, staff, affiliates, officers, managers, and CBN board of directors. CBN will do the installation process for the customer if the requirements set by CBN have been fulfilled, including the technical requirements in the Subscription Form and other documents to be able to use and enjoy CBN Services. CBN will do the installation process following the schedule that has been agreed by the Customer, with standard procedures established by CBN, where during the installation process, the Customer or his/her representative shall be at the location and supervise the whole process until the installation is complete. As long as the Customer is still registered as a user of our Services, then the Customer has the obligation to maintain and tend CBN equipment that are placed in the location. In case of damage / loss of CBN supporting hardware, CBN will charge the cost of replacement / repair to Customer. The Customer are required to keep and maintain CBN equipment in customer location so that they are functioning and in good condition and suitable to use starting from the date of subscription until they are returned to CBN as the result of the expiration of CBN subscription. In case of damage / loss on CBN supporting hardware for any reason, except as a result of the state of Force Majeure, CBN will charge the cost of replacement / repair to the Customer. If any devices belong to CBN placed on Customer location is lost, damaged or destroyed due to any cause except as a result of force majeure circumstances and negligence of CBN, the Customer must replace the device or reimburse the price of the device when the loss or damage occurs. In order to improve the quality of service provided to the customer as well as securing the internal network, CBN has the right to perform regular maintenance (scheduled maintenance) that will be announced no later than three (3) calendar days. CBN also reserves the right to take security precautions which will be followed by an emergency notification via the network's website address at http://noc.cbn.net.id/ CBN and / or the customer’s primary email. For the purpose of checking CBN quality service, the Customer shall give permission to CBN employee to enter and inspect the device at customer’s location. In accordance with the work order showed by CBN employee during the visit. With the Post-Service Termination and/ or end of the subscription period, CBN devices placed in Customer’s location must be returned to CBN in complete and good condition, without any defects both visible and hidden. The additional cost for the devices provided, materials and additional services during installation and / or during the subscription period. For CBN Fiber customers, DensTV Box rental fee of Rp. 45,000 (forty five thousand rupiah)/unit will be charged monthly. Ethernet cable installation that is out of CBN standard or exceeds 1 meter, will be charged an additional fee of Rp. 15,000 (fifteen thousand rupiah) / meter. Installation of Patch Cord cables that is out of CBN standard or exceed 25 meters will be charged an additional fee of Rp. 25,000 (twenty-five thousand rupiah) / meter. Replacement for the damage of DensTV Box will be charged Rp. 500,000 (five hundred thousand rupiah) / unit. Replacement for the damage of CBN ONU will be charged Rp. 1,000,000 (one million rupiah) / unit. Replacement for the damage of HDMI cable will be charged Rp. 50,000 (fifty thousand rupiah)/unit. Replacement for the damage of Remote Control will be charged Rp. 100,000 (one hundred thousand rupiah)/unit. Replacement for the damage of RCA Cable will be charged Rp. 50,000 (fifty thousand rupiah)/unit. Replacement for the damage of Adapter Set will be charged Rp. 100,000 (one hundred thousand rupiah)/unit. Printed invoice delivery fee is Rp. 10,000 (ten thousand rupiah) for JABODETABEK area and Rp. 15,000 (fifteen thousand rupiah) for other area per delivery. If customer request for a relocation of service address, then a relocation fee of Rp. 250,000 (two hundred fifty thousand rupiah) will be charged. Customers are not allowed to make payments in any form by CBN employees and / or officers on the location. 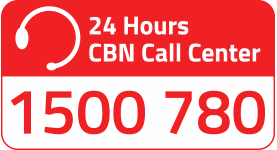 CBN service billing will be notified every month and sent to the Customers through invoice. In the event of termination of the Agreement, CBN and the Customer agrees to waive the provisions of Article 1266 and 1267 of the Civil Code (KUHPerdata). Termination of Services as described in Article 16, is to be followed / preceded by a notice / warning prior to the Customer. Minimum subscription period is twelve (12) months, if at any time Customers requires to terminate our Services before twelve (12) months of the subscription period, the Customer must send a written notice not later than 14 (fourteen) days before the termination date and shall pay penalty fee of Rp 1.000.000, - (one million rupiah). Termination of service due to customer’s demand or negligence in fulfilling these policies shall not waive the levied fee on the use of services. CBN is fully responsible for the quality of service provided to the Customers with the exception of a disturbance resulting from the negligence of the Customer and / or implementation of emergency security measures and other events that occur beyond the control of CBN (force majeure) as the service provider, including but not limited to a result of court ruling, rules and regulations of the new law with retroactive effect as well as the decision of the Government Agency in charge of issuing a policy law and regulation relating to CBN terms of service in the future. CBN reserves the right at any time remove, add or modify its Services including the price changes in the future, with advance notification through an announcement in one of CBN channel, email blasts, website, and running text (scrolling text), or in other media, except for changes made by the third parties. CBN reserves the right to provide information on the identity of registered customers to the investigation authorities in certain circumstances in accordance with the laws and regulations applicable in the territory of the Republic of Indonesia. Execution of some or all of these policies by one or both parties are not included as a violation of these policies if such things are caused by Force Majeure circumstances. Contents and implementation of these policies are subject to regulation and laws applicable in the jurisdiction of the Republic of Indonesia. In case of disputes due to the onset of the content and implementation of these policies, they will be settled amicably directly between the customer and CBN. If the Customer and CBN cannot resolve the dispute amicably, then Customer and CBN agreed to take legal action and appoint South Jakarta District Court as the general legal domicile and permanent. If there has been a conflict or discrepancy between Fiber and DirectNet Play Terms of Service with other Document that is interconnected in the terms of service provided by CBN, then the policies that apply are the policies contained in this document. If any points from Fiber and DirectNet Play Terms of Service specifically provides that the alternative policies in documents related to CBN terms of service to Customer is more applicable to these policies, then the replacement points in the document will be valid as long as they are only valid for the documents in question and are not variations of any policies in Fiber and DirectNet Play Terms of Service. CBN has the right to modify either partially or totally the contents of the Fiber and DirectNet Play Terms of Service in the future. Any changes can be seen on the website with advance notification through an announcement in one of CBN channel, email blasts, website, and running text (scrolling text), or in other media, except for changes made by the third parties. PT Cyberindo Aditama atau “CBN” adalah perusahaan penyelenggara jasa akses internet, didirikan berdasarkan peraturan dan ketentuan hukum yang berlaku di Negara Republik Indonesia. CBN Fiber dan DirectNet Play atau “Layanan” adalah layanan telekomunikasi dalam bentuk data, suara, dan gambar berupa penyediaan Jasa Akses Internet dan Jasa Internet Teleponi untuk keperluan Publik, Email, dan Jaringan Komunikasi Data, termasuk, namun tidak terbatas, pada produk turunan lainnya dimasa mendatang. Pelanggan adalah Pihak yang terdaftar sebagaimana tercantum dalam Formulir Pendaftaran yang disediakan oleh CBN, baik atas nama diri sendiri, perusahaan maupun pihak yang diwakili berdasarkan surat kuasa dan/atau dokumen pembuktian lainnya yang sah secara hukum dan peraturan yang berlaku. Perangkat CBN adalah Optical Network Unit (ONU), Set Top Box/Dekoder Digital, Remote Control, Antenna receiver dan perangkat pendukung lainnya, termasuk, tetapi tidak terbatas, pada peralatan dan perlengkapan lain yang dibutuhkan dimasa yang akan datang yang terdapat di lokasi Pelanggan, selama peralatan dan perlengkapan tersebut tercatat sebagai milik CBN. Lokasi adalah lokasi tempat penyediaan layanan CBN Fiber dan DirectNet Play sebagaimana yang tercantum dalam Formulir Pendaftaran/Dokumen pendukung lainnya. Force Majeure adalah kejadian-kejadian yang tidak dapat diduga, berdampak luas dan yang terjadi diluar kekuasaan manusia, antara lain termasuk tetapi tidak terbatas pada peristiwa-peristiwa atau bencana alam, wabah penyakit (epidemi), pemberontakan, huru-hara, perang, kebakaran, sabotase, pemogokan umum, petir, putus aliran listrik umum diluar kemampuan para pihak untuk mengatasinya. Ketentuan Penyediaan Layanan Fiber dan DirectNet Play yang ditetapkan di bawah ini mengatur Syarat dan Ketentuan yang ditetapkan oleh PT Cyberindo Aditama selaku penyedia layanan. Pelanggan diwajibkan untuk membaca dengan seksama karena dapat berdampak kepada hak dan kewajiban Pelanggan dalam menggunakan Layanan. Dengan mendaftar dan/atau menggunakan Layanan CBN, maka Pelanggan dianggap telah membaca, mengerti, memahami dan menyutujui semua isi dalam Ketentuan Penyediaan Layanan Fiber dan DirectNet Play. Ketentuan ini merupakan salah satu bentuk kesepakatan yang dituangkan dalam sebuah perjanjian yang sah antara Pelanggan dengan PT Cyberindo Aditama. Jika Pelanggan tidak menyetujui salah satu, sebagian, atau seluruh isi dari Ketentuan Penyediaan Layanan Fiber dan DirectNet Play, maka Pelanggan tidak diperkenankan menggunakan Layanan sebagaimana yang dimaksud. CBN akan memberikan Username dan Password yang merupakan identitas unik milik Pelanggan untuk melakukan aksestabilitas dalam menggunakan dan menikmati Layanan. Pelanggan bertanggung jawab sepenuhnya terhadap segala aktivitas penggunaan Layanan dan menjaga kerahasiaan password sebagai suatu informasi rahasia yang patut dijaga kerahasiaannya. Pelanggan mengakui dan bertanggung jawab secara penuh bahwa informasi dan dokumen yang diserahkan kepada CBN sebagai suatu persyaratan pendaftaran Layanan merupakan dokumen yang sah secara hukum dan memiliki kebenaran yang sejati. Pelanggan berhak untuk menikmati segala manfaat dan keuntungan yang diperoleh melalui penyediaan Layanan, dengan tetap memperhatikan Syarat dan Ketentuan yang diberlakukan oleh CBN sebagai penyedia Layanan, termasuk peraturan dan ketentuan hukum yang berlaku di wilayah hukum Republik Indonesia. Pelanggan dengan ini mengakui dan menyatakan bahwa CBN dibebaskan dari bentuk pertanggungjawaban, atas layanan yang digunakan oleh Pelanggan atas ketidakcocokan peralatan dan perlengkapan yang digunakan oleh Pelanggan untuk menikmati Layanan termasuk jika Pelanggan melakukan hubungan kerjasama dengan Pihak Lain dan/atau telah terjadi suatu kombinasi antara perangkat milik CBN dengan perangkat milik Pihak Ketiga yang tidak diatur dalam Perjanjian ini baik secara sebagian maupun menyeluruh yang akan mempengaruhi kualitas Layanan yang dinikmati oleh Pelanggan. Pelanggan dengan ini memahami segala resiko atas penggunaan dan/atau ketidaksanggupan Layanan yang disediakan oleh CBN, untuk itu Pelanggan bersedia membebaskan CBN dari segala tuntutan ganti rugi baik yang bersifat materil maupun inmateril dan bentuk pertanggung jawaban lain yang ditimbulkan dari adanya resiko tersebut. Tindakan atau usaha lain yang dapat dianggap telah melanggar hukum dan peraturan yang berlaku di wilayah yurisdiksi Republik Indonesia. Pelanggan dilarang melakukan tindakan yang dapat menimbulkan gangguan pada jaringan dan atau sistem elektronik lainnya yang berkaitan atau memiliki keterkaitan dengan penyediaan Layanan yang disediakan oleh CBN. Pelanggan dilarang untuk memberikan hadiah, tips, dan/atau pemberian lainnya yang dapat dikategorikan sebagai suatu pemberian yang tidak diatur dalam ketentuan penyediaan Layanan kepada petugas instalasi, staff, affiliasi, pegawai, manager, dan jajaran direksi CBN. CBN akan melakukan proses instalasi untuk Pelanggan apabila telah terpenuhinya syarat-syarat yang ditetapkan oleh CBN, termasuk persyaratan teknis berupa Formulir Berlangganan dan dokumen lainnya untuk dapat menggunakan dan menikmati Layanan. CBN akan melakukan proses instalasi sesuai jadwal pengerjaan yang telah disepakati oleh Pelanggan, dengan standar prosedur yang telah ditetapkan oleh CBN, dimana selama proses instalasi berlangsung, Pelanggan ataupun perwakilannya wajib berada di lokasi dan mengawasi seluruh proses Instalasi hingga selesai. Selama Pelanggan masih terdaftar sebagai pengguna Layanan, maka Pelanggan memiliki kewajiban untuk menjaga dan merawat Perangkat CBN yang ditempatkan di lokasi. Apabila terjadi kerusakan/kehilangan atas Perangkat pendukung layanan CBN, maka CBN akan membebankan biaya penggantian/perbaikan kepada Pelanggan. Pelanggan wajib menjaga dan memelihara perangkat milik CBN di lokasi Pelanggan agar tetap berfungsi dan dalam keadaan baik serta layak pakai terhitung sejak tanggal berlangganan sampai dengan dikembalikannya ke CBN akibat berakhirnya masa Berlangganan dengan CBN. Apabila terjadi kerusakan/kehilangan atas Perangkat pendukung Layanan CBN karena sebab apapun, kecuali akibat dari keadaan Force Majeure, maka CBN akan membebankan biaya penggantian/perbaikan kepada Pelanggan. Apabila perangkat milik CBN yang ditempatkan di lokasi Pelanggan hilang, rusak atau musnah karena sebab apapun kecuali akibat dari keadaan Force Majeure dan kelalaian CBN, maka Pelanggan harus mengganti perangkat tersebut atau mengganti sesuai dengan harga perangkat saat kehilangan atau kerusakan terjadi. Guna meningkatkan kualitas layanan yang disediakan kepada para Pelanggan serta demi pengamanan jaringan internal, CBN berhak untuk melakukan perawatan berkala (scheduled maintenance) yang akan diumumkan selambatnya 3 (tiga) hari kalender. CBN juga berhak untuk melakukan tindakan pengamanan darurat yang akan diikuti pemberitahuan melalui situs network CBN di alamat http://noc.cbn.net.id/ dan/atau email utama masing-masing Pelanggan. Untuk keperluan pemeriksaan kualitas Layanan CBN, Pelanggan wajib memperkenankan CBN untuk dapat memasuki dan memeriksa perangkat di lokasi Pelanggan. Sesuai dengan surat perintah kerja yang ditunjukan oleh karyawan CBN ke Pelanggan saat dilakukan kunjungan. Dengan Pemutusan Layanan dan/atau telah berakhirnya masa berlangganan, maka perangkat CBN yang ditempatkan di lokasi Pelanggan wajib dikembalikan oleh Pelanggan kepada CBN dalam keadaan lengkap dan tanpa adanya cacat baik yang terlihat maupun yang tersembunyi. Biaya tambahan untuk penyediaan perangkat, material dan service tambahan saat pemasangan dan/atau selama masa berlangganan. Bagi pelanggan CBN Fiber, biaya sewa DensTV Box sebesar Rp. 45.000 (empat puluh lima ribu rupiah)/unit akan dikenakan setiap bulannya. Penarikan kabel Patch Cord diluar standard CBN atau melebihi 25 meter akan dikenakan biaya tambahan sebesar Rp. 25.000 (dua puluh lima ribu rupiah)/meter. Penggantian kerusakan DensTV Box akan dikenakan biaya sebesar Rp. 500.000 (lima ratus ribu rupiah)/unit. Penggantian kerusakan ONU CBN akan dikenakan biaya sebesar Rp. 1.000.000 (satu juta rupiah)/unit. Penggantian kerusakan Kabel HDMI akan dikenakan biaya sebesar Rp. 50.000 (lima puluh ribu rupiah)/unit. Penggantian kerusakan Remote Control akan dikenakan biaya sebesar Rp. 100.000 (seratus ribu rupiah)/unit. Penggantian kerusakan Kabel RCA akan dikenakan biaya sebesar Rp. 50.000 (lima puluh ribu rupiah)/unit. Penggantian kerusakan Set Adaptor akan dikenakan biaya sebesar Rp. 100.000 (seratus ribu rupiah)/unit. Biaya pengiriman invoice cetak sebesar Rp. 10.000 (sepuluh ribu rupiah) di wilayah JABODETABEK dan Rp. 15.000 (lima belas rupiah) di wilayah lainnya untuk setiap pengiriman. Apabila pelanggan mengajukan permintaan perpindahan alamat servis, maka pelanggan akan dikenakan biaya relokasi sebesar Rp. 250.000 (dua ratus lima puluh ribu rupiah). Pelanggan tidak diperkenankan untuk melakukan pembayaran tagihan dalam bentuk apapun melalui karyawan dan/atau petugas CBN di lokasi pemasangan. Penagihan atas penggunaan Layanan CBN akan dilakukan di setiap Billing Cycle (Periode Tagihan) dan diinformasikan oleh CBN melalui Faktur Tagihan/Invoice yang dikirimkan ke Pelanggan. Dalam hal terjadinya pengakhiran Perjanjian, CBN dan Pelanggan sepakat untuk mengesampingkan ketentuan Pasal 1266 dan 1267 KUHPerdata. Pemutusan Layanan sebagaimana dijelaskan pada pasal 16, akan diikuti/didahului dengan pemberitahuan/peringatan sebelumnya kepada Pelanggan. Minimum masa berlangganan adalah 12 (dua belas) bulan, apabila sewaktu-waktu Pelanggan menginginkan pengakhiran Layanan sebelum 12 (dua belas) bulan masa berlangganan, maka Pelanggan wajib terlebih dahulu memberikan pemberitahuan tertulis selambat-lambatnya 14 (empat belas) hari sebelum tanggal pemutusan dan wajib membayar biaya penalty sebesar Rp 1.000.000,- (satu juta rupiah). Pemutusan layanan akibat permintaan atau kelalaian Pelanggan dalam memenuhi ketentuan ini tidak menghapuskan kewajiban yang terhutang atas penggunaan layanan. CBN bertanggung jawab penuh atas kualitas layanan yang diberikan kepada Pelanggan terkecuali akibat adanya gangguan yang timbul karena kelalaian Pelanggan dan/atau dilaksanakannya tindakan pengamanan darurat dan peristiwa lainnya yang terjadi diluar kendali CBN (force majeure) sebagai penyedia Layanan termasuk tetapi tidak terbatas pada suatu akibat dari adanya putusan pengadilan, ketentuan dan peraturan hukum yang baru dan berlaku surut maupun adanya keputusan dari Instansi Pemerintah yang berwenang dalam mengeluarkan suatu kebijakan peraturan perundang-undangan yang berkaitan dengan penyediaan Layanan CBN diwaktu yang akan datang. CBN berhak sewaktu-waktu mengurangi, menambah atau mengubah Layanannya termasuk dengan perubahan harga dikemudian hari, dengan pemberitahuan terlebih dahulu melalui pengumuman di salah satu saluran CBN, email blast, website, dan teks berjalan (scrolling text), atau pada media-media lainnya, kecuali perubahan yang dilakukan pihak ketiga. CBN berhak untuk memberikan informasi mengenai identitas Pelanggan terdaftar kepada pejabat penyidik yang berwenang dalam keadaan tertentu sesuai dengan peraturan dan hukum yang berlaku di wilayah Republik Indonesia. Tidak dilaksanakannya sebagian atau seluruh Ketentuan ini oleh salah satu atau kedua belah pihak tidak termasuk sebagai pelanggaran atas Ketentuan jika hal-hal tersebut disebabkan oleh keadaan Force Majeure (keadaan memaksa). Isi dan pelaksanaan ketentuan ini tunduk kepada peraturan dan hukum yang berlaku di wilayah jurisdiksi Republik Indonesia. Dalam hal timbulnya perselisihan akibat isi dan pelaksanaan ketentuan ini, maka akan diselesaikan secara musyawarah langsung antara Pelanggan dan CBN. Apabila Pelanggan dan CBN tidak dapat menyelesaikan perselisihan secara musyawarah, maka Pelanggan dan CBN sepakat untuk menempuh jalur hukum dan menunjuk Pengadilan Negeri Jakarta Selatan sebagai domisili hukum umum dan tetap. Apabila telah terjadi suatu pertentangan atau ditemukannya ketidaksesuaian antara Ketentuan Penyediaan Layanan Fiber & DirectNet Play dengan Dokumen lain yang masih saling berhubungan dalam penyediaan Layanan yang disediakan oleh CBN, maka yang berlaku adalah ketentuan-ketentuan yang berlaku dalam Ketentuan Penyediaan Layanan Fiber ini. Apabila terdapat ketentuan dalam Ketentuan Penyediaan Layanan Fiber yang secara khusus mengatur bahwa ketentuan alternatif sebagaimana yang terdapat dalam Dokumen-dokumen yang berkaitan dengan penyediaan Layanan CBN kepada Pelanggan lebih berlaku atas ketentuan yang terdapat didalam Ketentuan Penyediaan Layanan Fiber ini, maka ketentuan pengganti yang terdapat didalam dokumen tersebutlah yang akan berlaku selama hanya berlaku atas Dokumen-dokumen sebagaimana yang dimaksud tersebut dan bukan merupakan variasi dari Ketentuan manapun dalam Ketentuan Penyediaan Layanan Fiber dan DirectNet Play. CBN memiliki hak untuk mengubah baik secara sebagian maupun menyeluruh terhadap isi dari Ketentuan Penyediaan Layanan Fiber & DirectNet Play dikemudian hari. Setiap perubahan dapat dilihat pada website CBN dengan pemberitahuan terlebih dahulu melalui pengumuman di salah satu saluran CBN, email blast, website, dan teks berjalan (scrolling text), atau pada media-media lainnya, kecuali perubahan yang dilakukan pihak ketiga.